I happen to be travelling to Boston this weekend and spending a couple of days for a few greatly needed medical appointments. To be quite frank, living in Rome has meant living without direct access to the doctors who know my illness best. Still, I’m happy that I have the chance to go and see them–many thanks to my mom and April. Here’s the thing: being frugally-minded, I made a wonderful deal with Priceline.com to travel roundtrip from Orlando to Boston, plus spend the night in a decent hotel, Bedford Motel. From the reviews on TripAdvisor.com, the Bedford Motel seemed reasonable and its location was in between or close to all the places I needed to be: Lexington, Burlington, Arlington, and Cambridge. Of course, there is catch, although there shouldn’t be, but it’s not the fault of either Priceline, the hotel, or even my poor self. It’s the MBTA (Massachusetts Bay Transportation Authority). 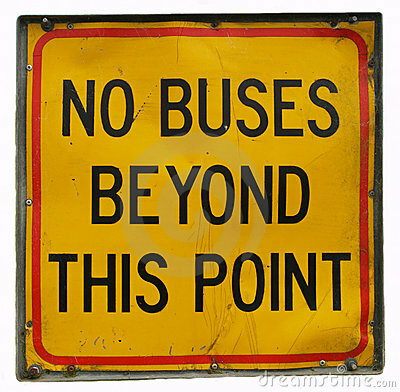 The MBTA does not provide bus service to Bedford after 7pm on Saturdays or 9:30pm during the weekdays. What?? Seriously? You have to be kidding me. There I was thinking that I was returning to a little bit of a traveler’s haven, i.e. a city, only to be informed that I had no way of getting to my hotel except via taxi at a rate of ~$130 from the airport or ~$60 from the subway station. With my savvy traveller skills, I imagined that I had found a work-around: Okay, I’ll sleep at the airport, grab the first subway in and catch the #62 bus to Bedford and sleep for the remainder of the day. I checked online, found out that it was relatively easy to sleep/hangout in Terminal B 28 until the morning, where there are rocking chairs. I thanked the universe and sighed with relieved. Yes, I thought I had found the answer, i.e. until I actually checked the bus schedule to Bedford. This is beyond ridiculous now. Why ridiculous? Because I expected more from the MBTA. Not only was the service limited, but the fare had increased as well! You see, coming from Rome where the buses show up whenever the driver feels like arriving, I had an expectation of refined service, catered to the needs of city dwellers. I was not expecting this. Yes, you may say that Bedford is a small town/neighbourhood/whatever. I say that there must be working people in Bedford, people who need to get to work or simply get about the place. In Rome, although the service leaves much to be desired, it is available on the weekends–there is always a way to move about the city, no matter the time. Night bus services takes you into neighbourhoods that are outside the historic center. That service runs until regular service picks up again. In Boston, I read that they are diminished night transportation services at the end of June. So, it looks like I’ll be hopping on the subway and catching a taxi from Alewife to Bedford. It’s sad news, but for this reason I know that I can never recommend staying at any hotel that is not within proximity of the subway system. At least the subway runs on the weekends. Fibromyalgia & Alternative Treatments | Tai Chi Anyone? If Not, Let’s Take a Walk!